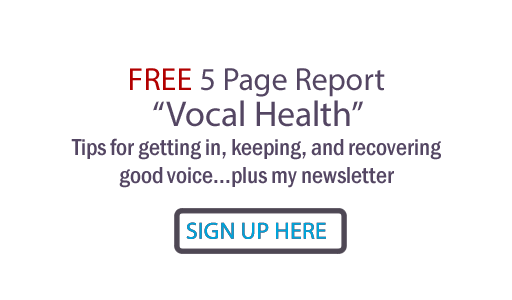 Judy Rodman - All Things Vocal Blog: Need to learn a different vocal style? Need to learn a different vocal style? Sometimes our musical hearts are not where our vocal training is. Sometimes a classically trained singer or musical theater performer wants to find a more contemporary sound so they can sing pop, country, jazz, r&b, rock, or alternative in a way that fits the genre. Other times, a contemporary genre artist may wish to explore some classical or musical theater singing. ...I was thrown a little this morning when I got a letter from someone close to me who said they had heard my songwriting demo and didn't like my singing, saying it was too 'formal' It's not the first time this has been said, and these were my songs (modern piano ballads) not musical theatre classics (Rogers and Hammerstein era) which I normally sing. I guess singing that way has gotten a little ingrained in me (formal baritone) and I don't have a 'modern era' voice if you will. Any thoughts about this? I don't suppose I'm the only one, and maybe others have something to say. LISTEN, listen, listen! ... to vocal artists that have mastered the style in which you're interested. Immerse yourself in the rhythms, melodies, phrasing, vocal embellishments (licks), articulation that the they are using. DISSECT the performances - Where do the lyrics fall compared to the beat? Do they sing perfectly with the beat or do they lay back or are they "on top" of it? How often do they do vocal licks and what are typical licks they use? For instance, notice that pop & rock is often sung straighter than country or r&b. MIME! Go through the physical motions of singing with the master artist, but don't make a sound. It's important that you do this physically yet inaudibly. If your audience was deaf, let them see the words and the melody in your body language and face. SING WITH the artist (audibly). Try to make sure you are tracing them exactly. SING WITHOUT the artist...with only tracks if you can find them. RECORD yourself singing. Play it back, and ask yourself if you believe it. PERFORM ORIGINAL SONGS - get or write original material that is in that genre. This is where you will develop your inner connection with the style and can begin to truly deliver authentic performance. Take the time to get real within the genre. You must paint other people's masterpieces before you can learn to paint your own, but you must make that transition - to sing the genre in a way that you make it your own. This is such an excellent article. What I like about your blog is that you don't share the same tips I've heard a million times before. The ones that just scratch the surface... These are real tips, tips you can apply and grow from immediately. Thank you! Runaway Home a hit in Bristol!